Water – yep water. Literally everywhere you turn, no matter what dieting or healthy advice you look at, they ALL mutter on and on and ON about the great benefits of drinking more water. We know!! Of course we know – after all, we know that our body is made up mostly of water. It’s obvious to us all that drinking more water will make everything work better, make our skin look better, make us sleep better and on and on and on ad infinitum! WE KNOW. But – and here’s the kicker – do we REALLY know? Or, if we do, are we REALLY drinking enough? I’ve been on a diet now since January and it’s been going pretty well. I’ve lost a good amount of weight and am really happy to have dropped a dress size…but things have slowed down – a lot! In fact they are stagnating. So, with the advice of Einstein ringing in my ears (although, to be fair he might never have said it). And that’s pretty much what I’ve been doing – so I did some research (read – bounced from website to random website) and decided that I had two choices that might make a difference. 1. Do exercise and 2. Drink more water. After a huge amount of deliberation (all of 10 seconds), I decided that the water thing was probably less likely to put me in hospital than the hospital thing. So, on an impulse I bought myself a very cool ‘motivational’ water bottle. Yup – you heard right – they now do ‘motivational water bottles’. Basically it has some inspirational words on the front and markings on the back so you can keep track of timings during the day. As my rather sarcastic husband said, you could always just buy a super cheap one and use a sharpie to make your own – but honestly folks, if I’m going to undertake a *new* thing that I think that deserves a little shopping!! A whole week later and, do you know? Things have actually changed. I can’t quite believe it but there really are some great benefits of drinking more water. One of the benefits of drinking more water that is stated everywhere is that all of your organs will work better. I know that the research says this, but I really didn’t believe them – at all! In fact, in my head everything was working pretty well anyway. Yep, I didn’t always drink enough (like maybe 2 or 3 cups a day) but how much difference can it have? Well, after the first week when I was literally on the toilet every 20 minutes (and wishing I’d bought that huge 12 pack of toilet roll) – things have calmed down a lot in the second week. Without giving far too much information, my visits to the powder room have become much MUCH more regular and I’m losing the constant bloating feeling. All my clothes are fitting SO much better and I’m feeling less sluggish – which is FAB. Another of the claimed benefits of drinking more water is that it will help you lose weight. Hmmmmm…now this I was excited by – until day 2 when I realised I seemed to be piling the pounds on. In the space of a few days I’d put on nearly 4 pounds! Seriously??? Now, normally at this point in any experiment, I’ll give up (not got a huge amount of resilience I have to say) – but I was determined to keep at it. After all – not everyone could be wrong?? And lo and behold – a week later and the weight is going down again. It seems that when you are dehydrated (which I definitely was) and you give your body water, then it’ll hold onto it for as long as possible in case you don’t drink again. However, once it realised that you are going to keep hydrated, your body will release the water and hence the weight! It’s been a long long time since I had bad skin – about 20 years I’d guess – so you can imagine my feelings in the first week of drinking water that I ended up with breakouts. Not major ones, but enough for me to have to use cover up (made me feel like a teenager again!). Now, I do know that when you drink more then it’ll cause the toxins and such like in your skin to be released, hence the poor skin, but even knowing that didn’t make me feel any better. BUT – a week later and my skin is glowing – like actually glowing! It’s no longer dry and a bit flaky, and the blemishes have all disappeared. In fact, today I’ve only had to put on a little moisturiser and I’ve been good to go. What amazes me is that this has only been 1 week. 1 week of drinking better and I’m seeing huge changes. 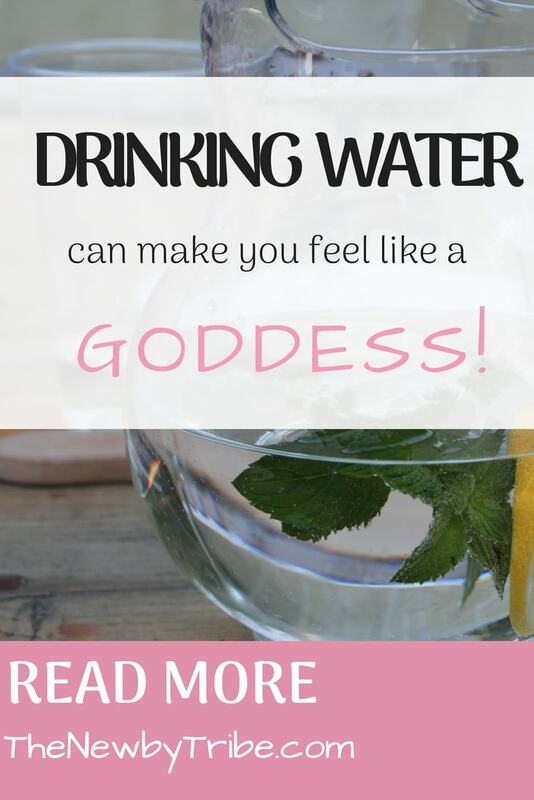 I’m not convinced I feel like a goddess (although I really hope you do if you get more hydration! That’d be a cool feeling!) but I do feel so much better and as though I’m making a real difference to looking after myself. 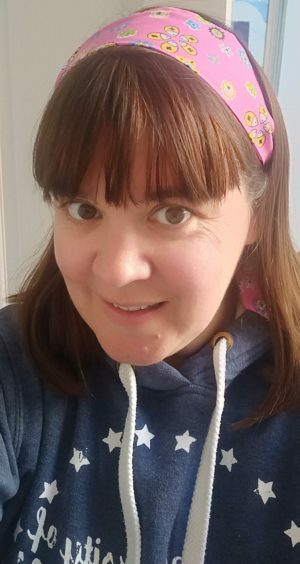 It wasn’t until I turned 40 that I realised that, from now on, I can’t rely on Mother Nature to make sure I’m looking and feeling good – I’ve got to start to really look after myself. So, first step – drink more water – and it’s working! 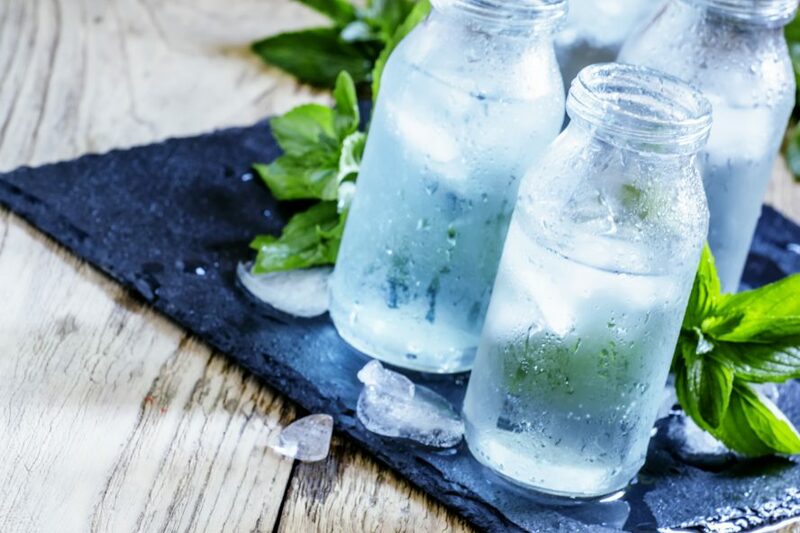 I’d love to hear from you if you struggle to drink water or are finding some great benefits – and if you ARE feeling like a goddess – then let me know! *This post may contain affiliate links that if you buy through won’t cost you anything but may give a small amount of commission to me.